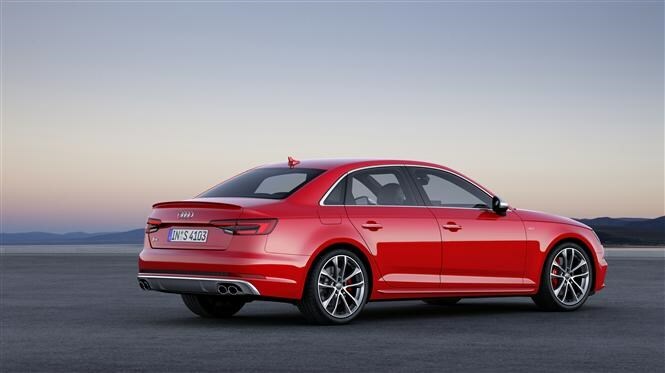 Frankfurt’s motor show has seen the debut of the latest generation Audi S4 saloon and S4 Avant high performance models. Derived from the recently launched A4 saloon and A4 Avant ranges, the latest S4s are powered by a turbocharged 3-litre V6 engine driving all-four wheels via a revised quattro system. With 349bhp it’s less powerful than the likes of the BMW M3 and Mercedes-AMG C63, but we expect a new Audi RS4 to come later, directly challenging those rivals. 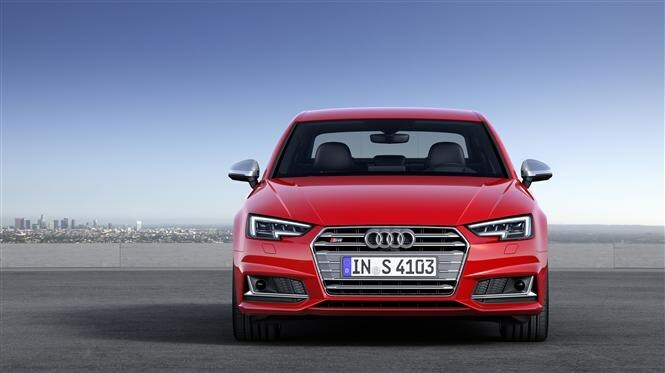 That new, lightweight turbocharged engine under the Audi S4’s bonnet produces 500Nm of torque from just 1,300rpm. It’s enough to propel the newcomer to 62mph from a standstill in just 4.7 seconds and on to an electronically-goverened top speed of 155mph. Channelling that power to each wheel is a revised eight-speed Tiptronic automatic gearbox which not only improves responsiveness but efficiency, too. 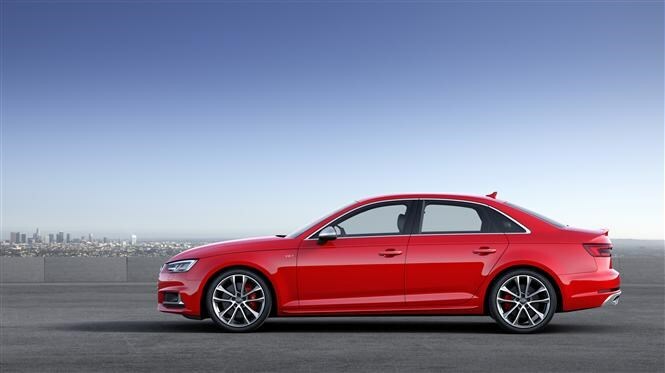 Audi’s made bold claims suggesting the latest S4 should be much more enthusiast-sating to drive than its predecessor. Sitting 23mm lower than the regular Audi A4, the S4’s sport suspension is newly-designed in such a way as to better control the body across different types of road surfaces and varying undulations. We’ll put that to the test when we drive it. Continuous Damper Control (CDC) is Audi’s name for the adaptive damper settings available on the new S4 which constantly monitor and react to ensureg the ride’s comfortable when you want it to be and stiffer for higher speed cornering as needs dictate. Plus, you can select modes to suit your preferences if you don’t want to let the car do its own thing. Subtlety is one of the Audi S4’s strengths and for the casual observer this latest one continues the theme of looking like a sportier A4 saloon or Avant. Grilles in the lower bumper are larger than other A4 models, while many of the accents, including in the main front grille, are painted grey, while other details have a metallic finish. At the rear the diffuser’s punctured by four exhaust tail pipes, while there’s a vestigial spoiler on the trailing edge of the saloon’s boot lid. Inside we’re expecting more of Audi’s imperious build quality with S4 specific details to separate it from lesser A4s, albeit with that subtle mantra. Black tones dominate the materials, with brushed aluminium trims adorning the dash and door panels but it’s the S-specific sport seats up front which are the most obvious change. Audi has yet to reveal prices for its all-new S4 range but expect them to be higher than the outgoing versions when the car’s available to order in spring 2016. 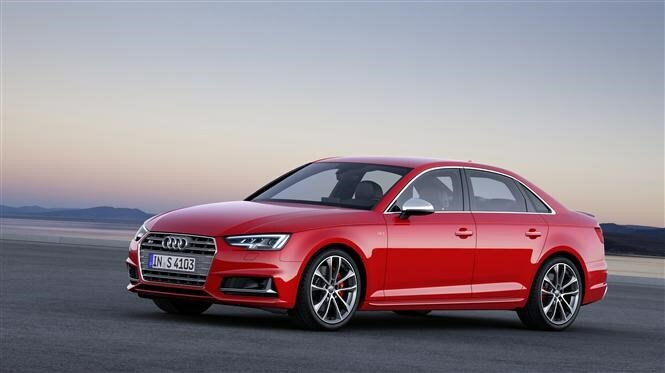 We’ll be putting the sporty family car through its paces in the new year when we discover if the all-new Audi S4 saloon and S4 Avant have been worth the wait.